The pending legalization of medical marijuana in Florida raises many questions for lawyers practicing criminal defense in and around Gainesville, Florida like “Will the smell of marijuana in a vehicle, still allow an officer to conduct a warrantless search of that vehicle?” A good question, but one for another day. How will Florida’s changing attitudes towards marijuana clash with the Department of Justice’s recently announced proclamation to prosecute the “most serious, readily provable” offenses? Check out this article here on the subject. This is a complicated question involving serious questions of state’s rights versus the power of the federal government to impose criminal sanctions that preempt state laws. But again, that is a question for another day. Today’s issue is one that Glassman & Zissimopulos Law has already had to address for a client. The issue is how a person with a valid prescription from another state will be treated in Florida if they are caught with marijuana in this state. To be perfectly honest, the answer is currently unclear. The best advice would be that a person who is in Florida should get a valid Florida license and prescription prior to possessing marijuana in this state. With that having been said, Florida law does allow a person to bring a prescription defense at trial. (See State v. Latona, 75 So.3d 394 [Fla. 5th DCA 2011]). Florida’s rules for medical marijuana possession (that are available thus far) can be found at Florida Health’s website. Unfortunately, these rules do not explicitly say that a valid prescription from another state will be honored or will not be honored. One possible problem with the above analysis is that Florida appears to be considering marijuana possession to be a hybrid of a prescription and a license. Taking some guidance from Florida’s concealed weapon licensing process, it may take some time for the laws of Florida and other states to clearly outline how reciprocity will work between the states. This is especially true since some states currently allow both medicinal and recreational use of marijuana. License reciprocity laws constantly change. As an example, Florida’s concealed weapon reciprocity laws are constantly updated on the Florida Department of Agriculture and Consumer Service website. 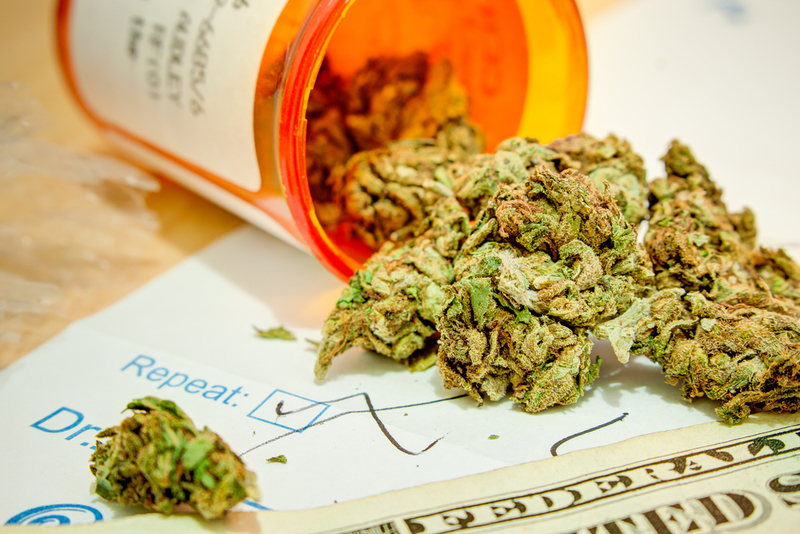 For now, the bottom line is if you want to avoid legal trouble with marijuana in Florida, keep updated on the changing laws and obtain valid prescriptions and licenses in Florida before possessing this substance in Florida. Of course, if you have questions about the current state of the law, the attorneys at Glassman & Zissimopulos Law are always available at PutClientsFirst.com or 352-505-4515.